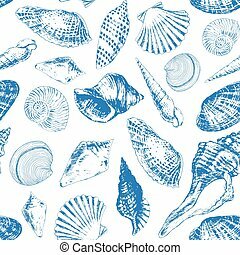 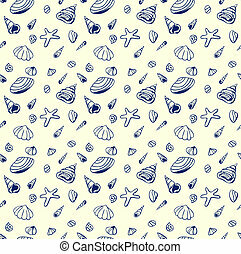 Doodle sea shells pattern. 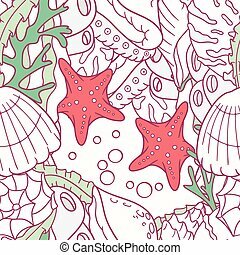 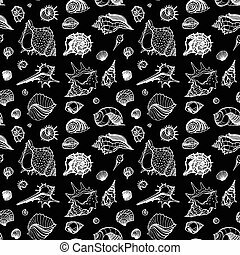 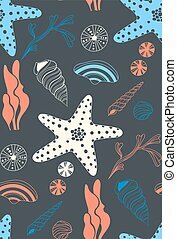 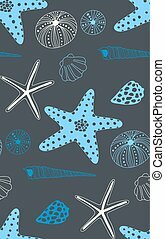 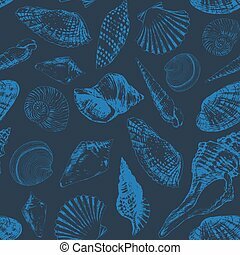 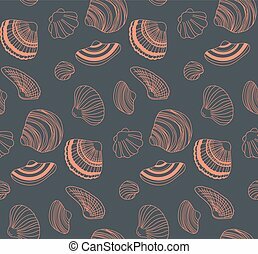 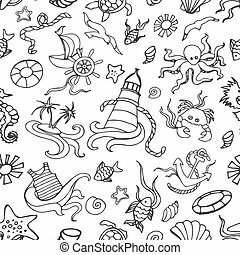 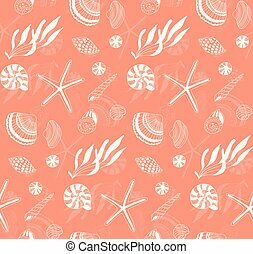 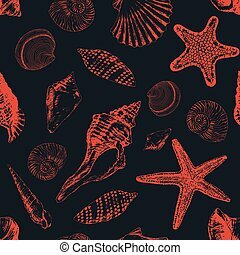 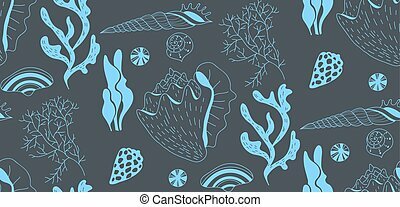 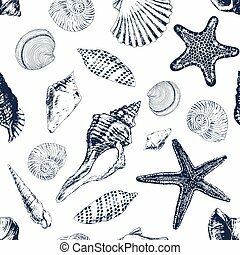 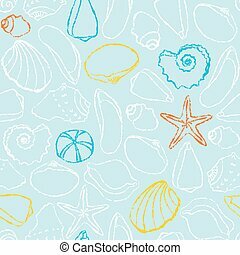 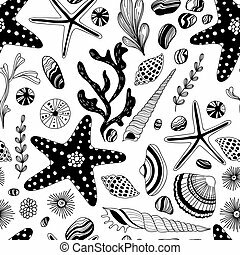 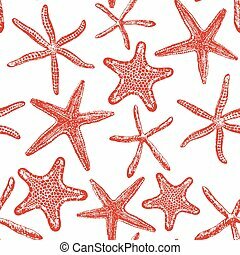 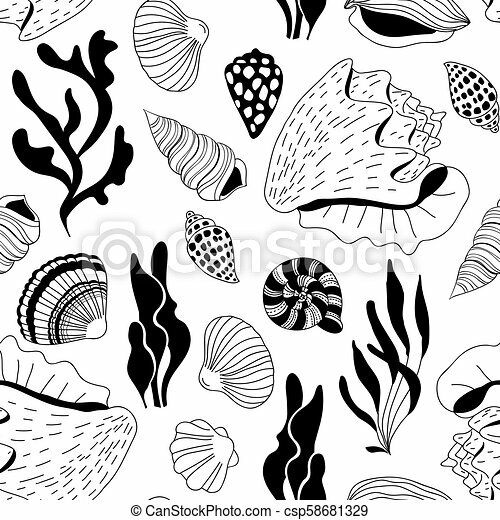 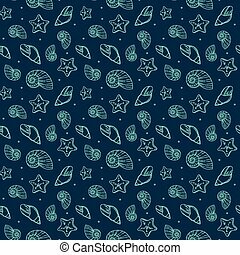 Seamless pattern made of various sea shells and sea weed drawn in doodle style. 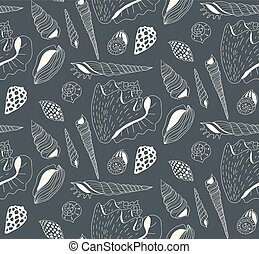 Seamless pattern made of various sea shells and sea weed drawn in doodle style. 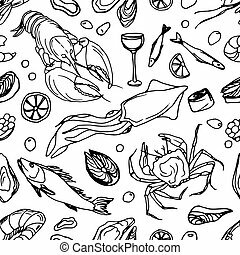 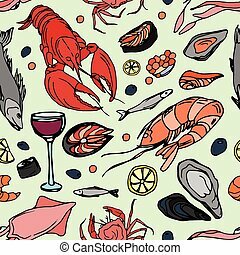 Vector hand drawn Doodle pattern sea food . 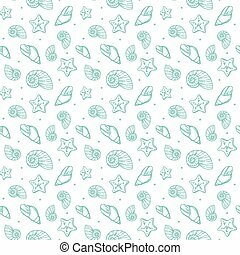 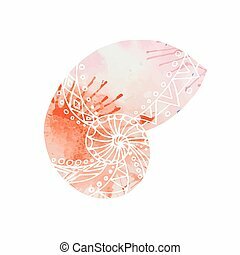 Illustration with doodle sea shells and watercolor background. 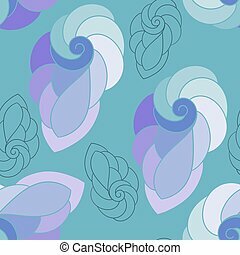 Boho pattern. 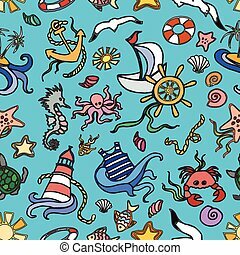 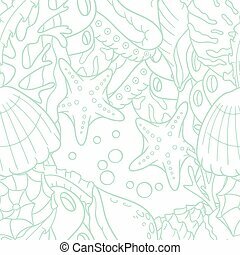 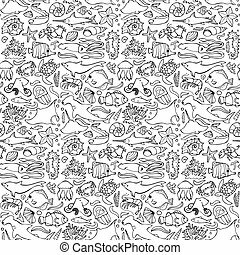 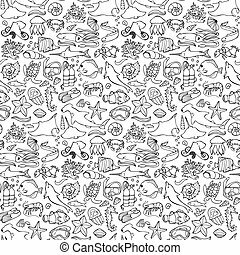 Seamless pattern with hand drawn underwater creatures. 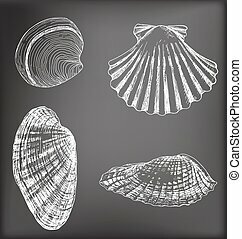 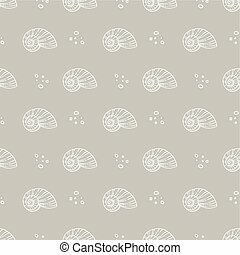 Set of 4 hand-drawn shells on chalkboard background.